The Microsoft Azure Cloud is the cloud platform of choice for many enterprises who are seeking to migrate their application to the cloud. Migrating applications to Azure requires specific strategies for application networking services such as load balancing, visibility, and performance monitoring. 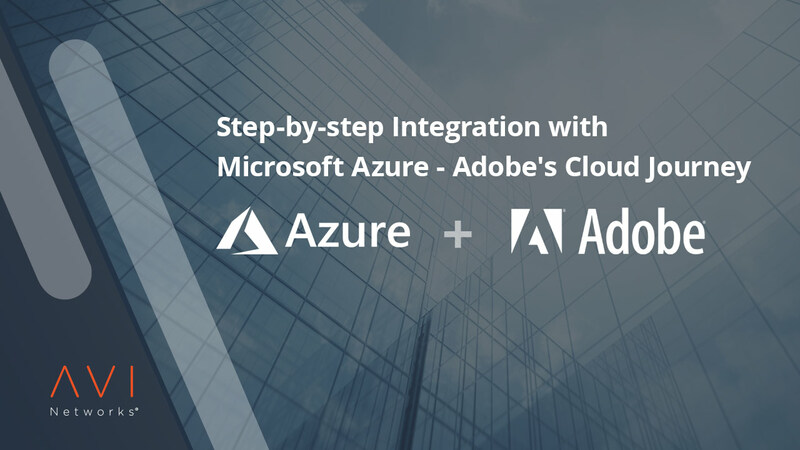 Watch this webinar to learn how Avi’s Intent-Based Application Services Platform helps Adobe deliver its digital experiences on Azure. To watch the webinar on-demand, please complete the form.